I am not going to pretend that today’s recipe is low fat. It’s not. At all. However, it is filled with delicious vegetables and cheese. 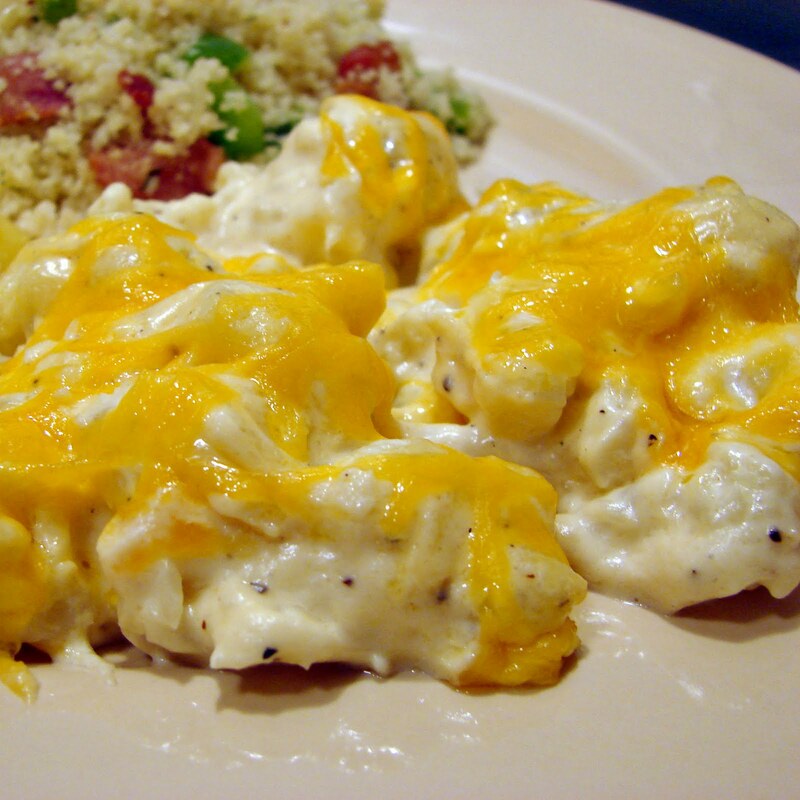 If you are trying to avoid carbs, this is a great alternative to Mac and Cheese, using cauliflower instead of pasta. 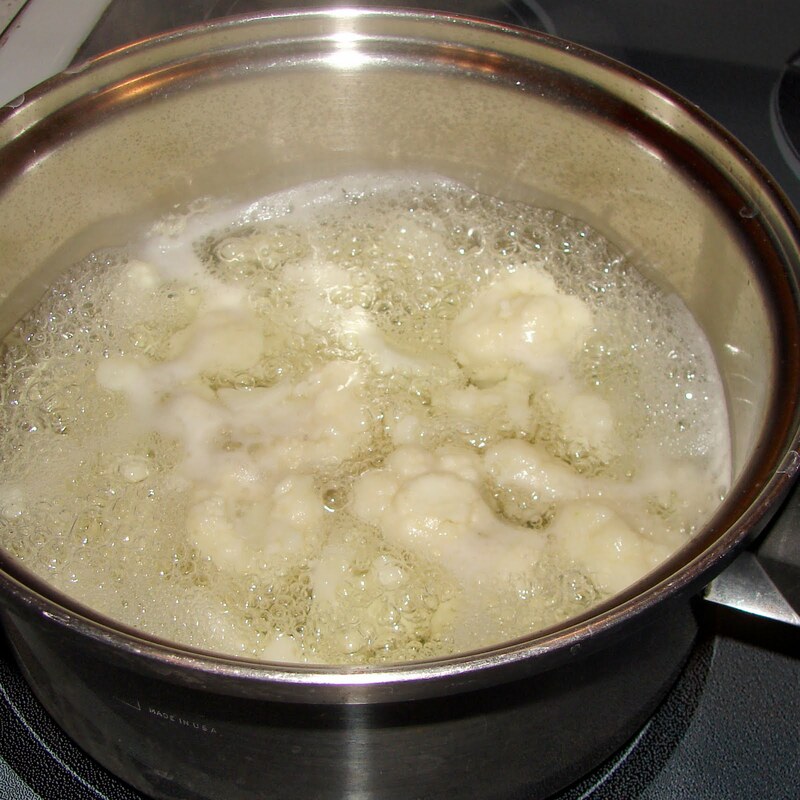 If you are not avoiding carbs, you can actually do half pasta and half cauliflower. Either way, it is a delicious dish! 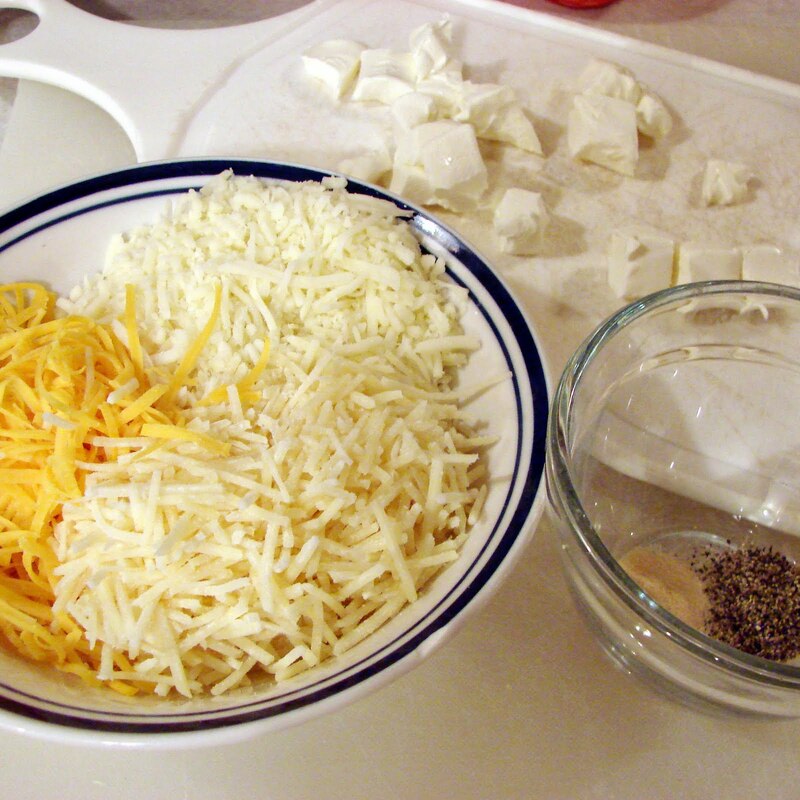 You’ll need cheese: 1/2 cup shredded mozzarella cheese, 1/2 cup shredded cheddar cheese and 1/4 cup shredded parmesan cheese, and 4 oz cream cheese (I usually use the 1/3 less fat stuff), cut into cubes. 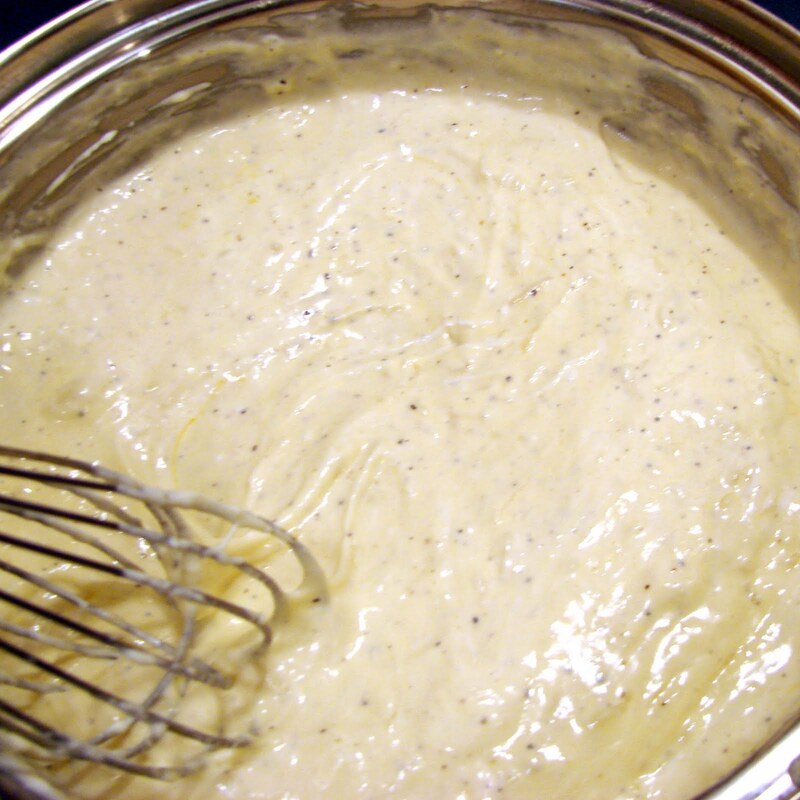 You’ll also need 1/2 tsp garlic powder and 1/4 tsp black pepper. 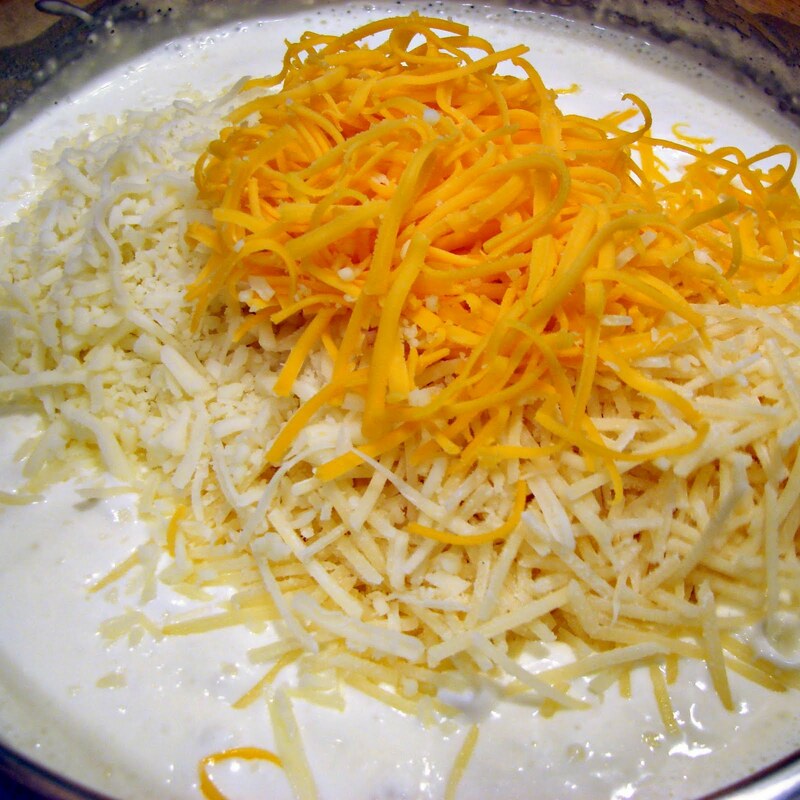 You’ll also need 1 additional cup of cheddar cheese for the topping. 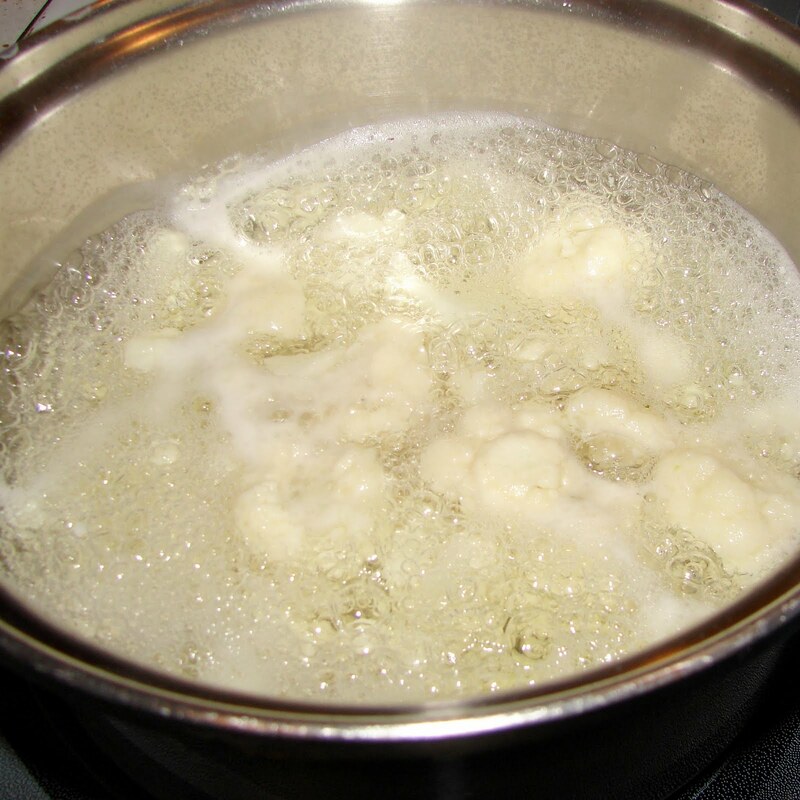 Wash, cut, rinse and cover a head of cauliflower with water, boil until tender. Alternatively, you could steam it. 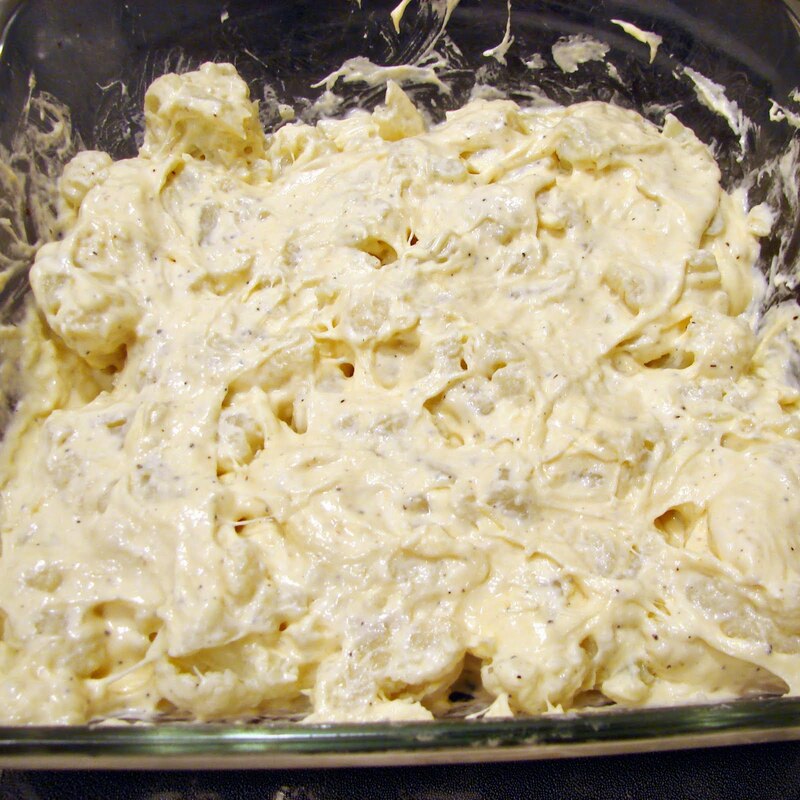 Next, in a saucepan, add 1 cup cream or milk for a lower calorie version and cream cheese. 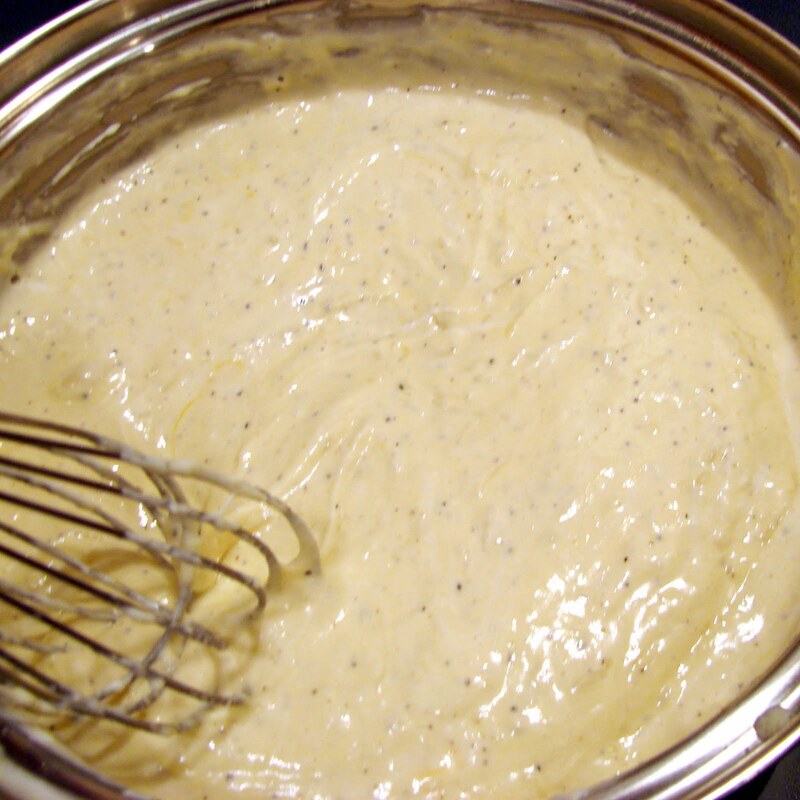 Mix until combined over medium heat. 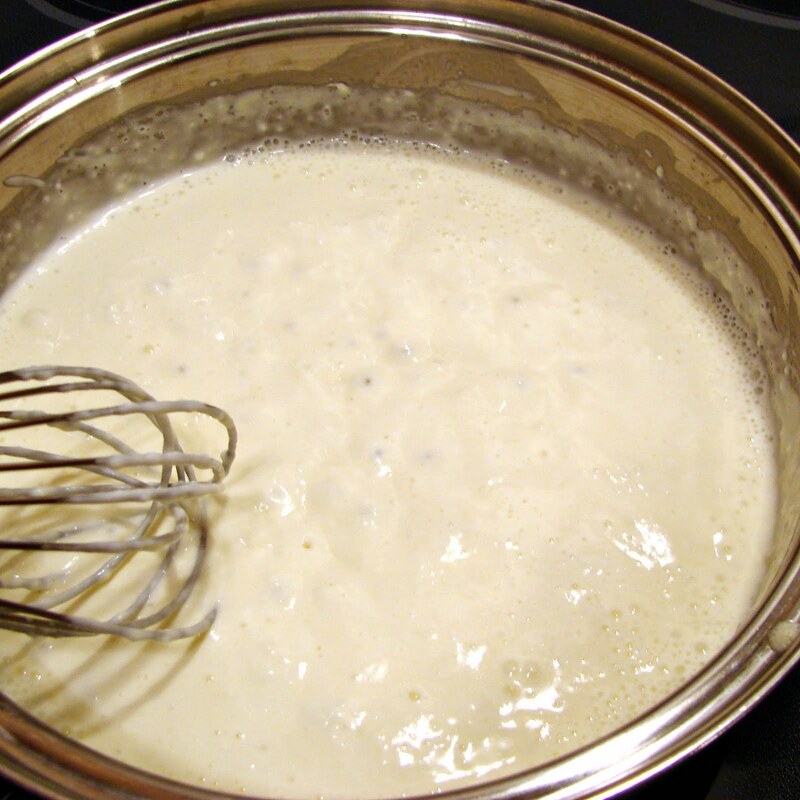 Once the milk and cream cheese is heated to simmering, add cheese. 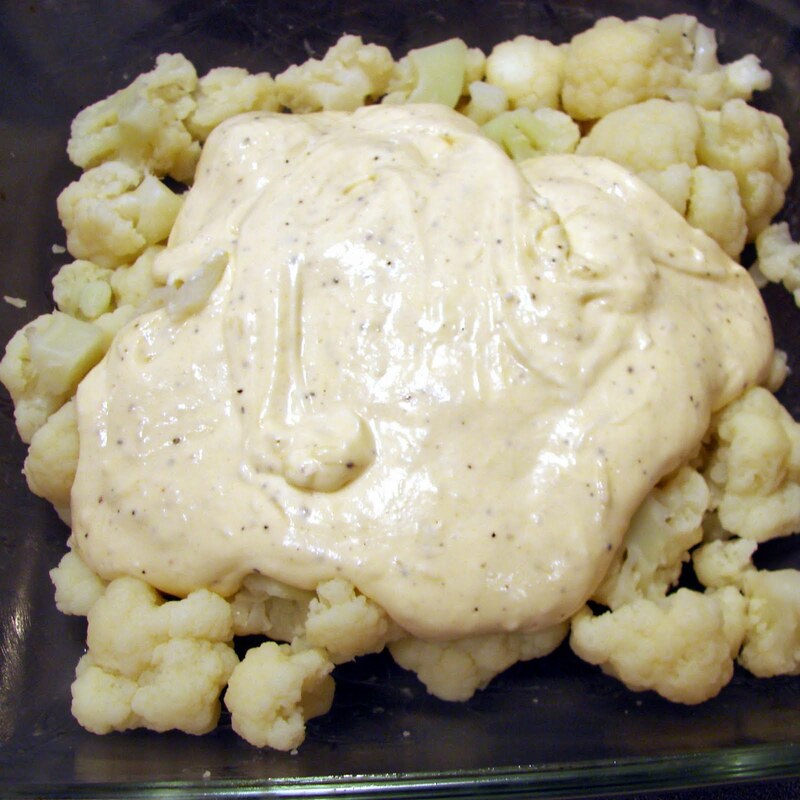 Spread mixture evenly over the cauliflower. 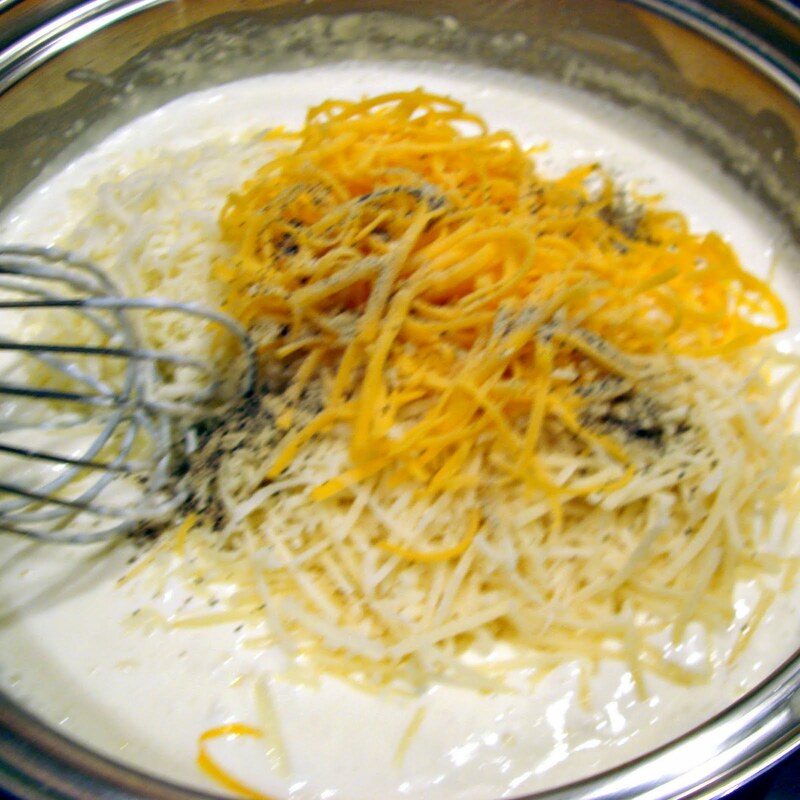 Top with 1 cup cheddar cheese. 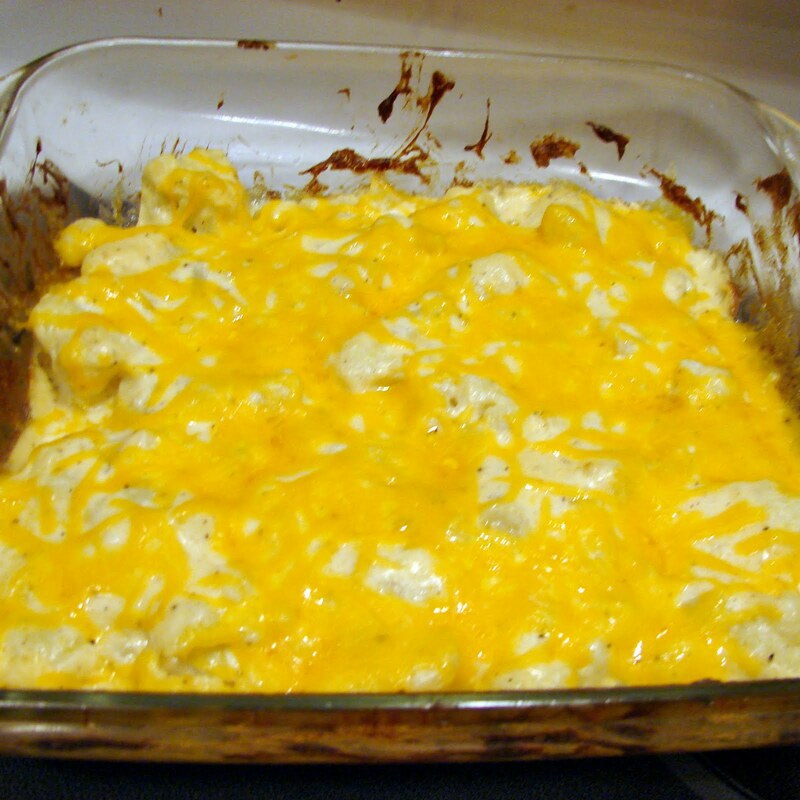 Bake at 350 until cheese is melted and sauce is bubbly. About 15-25 minutes. 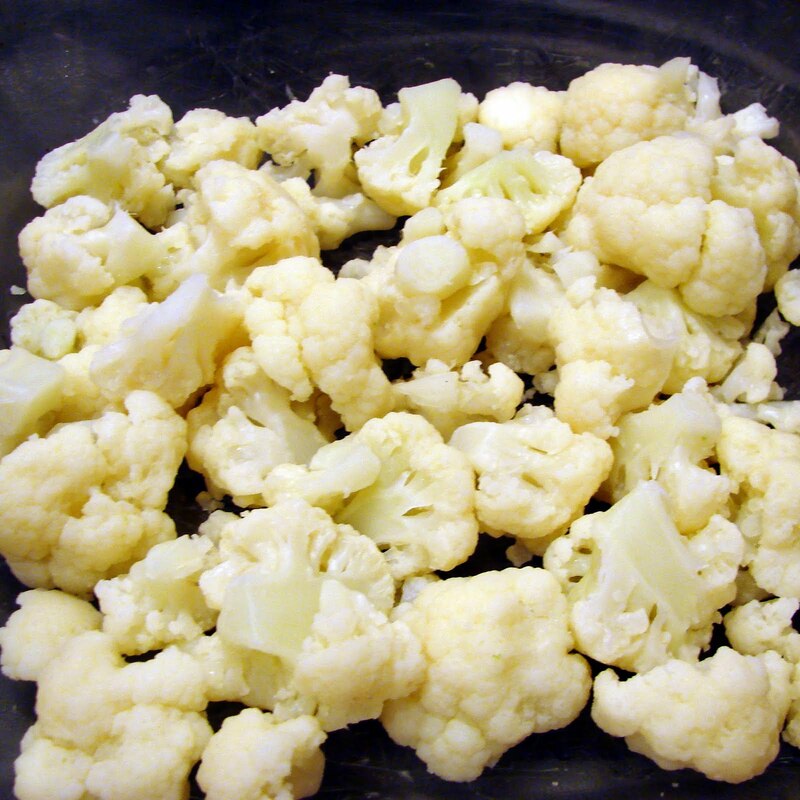 Wow… We love cauliflower, but get tired of it after a while because we always eat it the same way-Steamed. This looks like a great change every once in a while! Thanks!! 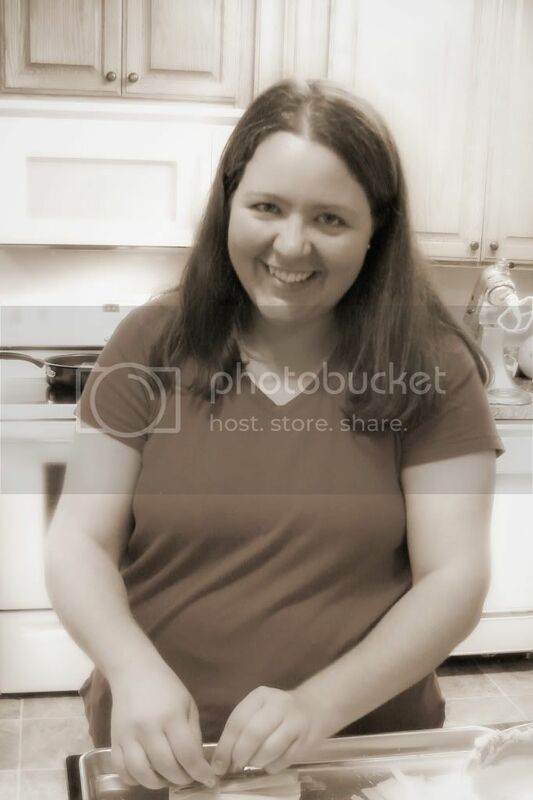 Crystal, that recipe sounds so good! 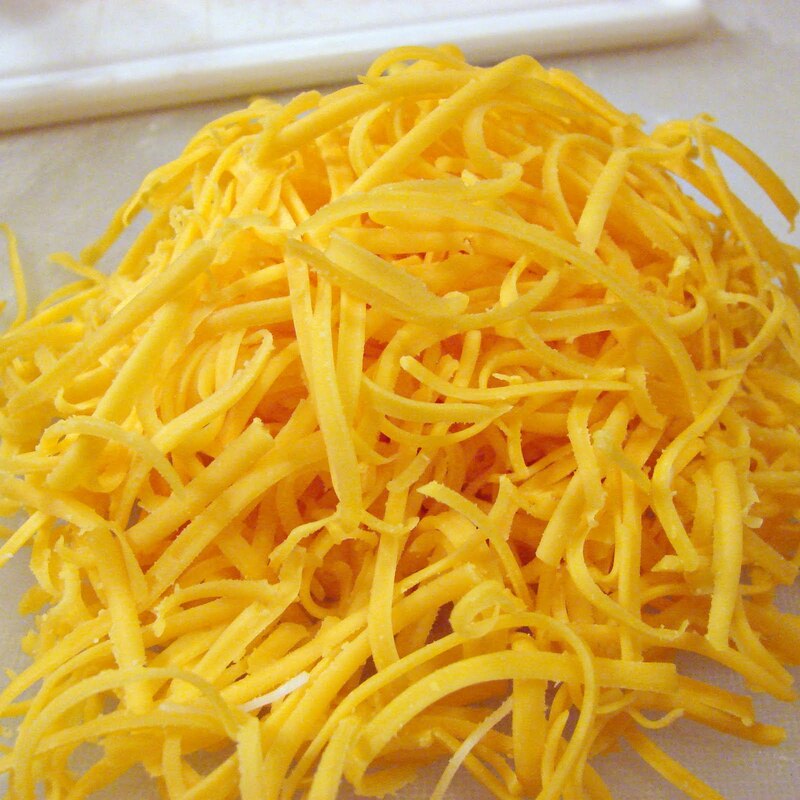 My kids would love it because they all love cheese. Omg, it looks sinfully tasty!